Following the long-lasting tradition, the Economic Policy Institute organized for a seventeenth consecutive time its already well-known regional initiative - the Summer Seminar for Young Public Policy Professionals from South Eastern Europe and the Black Sea region. This year the annual forum took place within the period May 30 – June 3, 2016 in Flamingo Hotel Complex, Albena at the Bulgarian Black Sea coast thanks to the kind financial support of the Hanns Seidel Foundation and the Representation of the European Commission in Bulgaria. After a competitive selection process, the 17th Summer Seminar entitled "Public Policy Challenges - European and Regional Dimensions" gathered together a diverse group of 34 promising young public policy professionals from the public administration structures and policy-oriented research centers from the following ten countries from SEE and the Black Sea region: Albania, Bulgaria, Croatia, Georgia, Macedonia, Moldova, Montenegro, Romania, Serbia and Turkey. Traditionally, the prestigious international forum was attended also by over 15 prominent speakers – high-level officials from EU institutions, ambassadors, international experts and practitioners, university professors and experts from the academia, representatives of reputable research centres and think-tanks from the SEE and Black Sea region. The seminar’s diverse agenda touched upon not only key topics on the EU agenda such as the possible Brexit scenarios, the achievements of the Dutch EU Presidency and the priorities of the upcoming Slovak one, TTIP and the future of the ENP and the EU integration process, but also essential public policy issues like countering corruption in SEE, E-Governance for enhancing public policy performance, regulation practices, catching-up and technological commercialization, as well as topics of regional significance such as energy and security challenges and opportunities for more effective regional cooperation having the role-model of the Visegrad Group. This variety of interesting and thought-provoking topics led to lively discussions and deliberations and to a fruitful exchange of views, ideas, know-how and experience among the active young professionals and the outstanding speakers. Besides obtaining new insights and food for thought during the panel sessions, the participating in the seminar young professionals from the region had the opportunity to continue the effective cooperation and networking also during the interactive sessions envisaged in the seminar agenda. The traditionally organized during the first seminar day World Café session devoted to issues like good governance, efficient public institutions and effective public policies for increasing quality of life and enhancing competitiveness, also provoked vivid discussions among the participants and was assessed by them as a valuable experience for enhancing their professional skills and communication and presentation capabilities. The other group task aiming at developing Scenarios for the future of the SEE and Black Sea region fostered creative thinking among the participants and as a result led to interesting presentations and self-developed inspiring videos. After five days of comprehensive and interesting panel sessions, lively discussions and creative workshops, it was time for summing up the seminar outcomes during the Official Closing of the regional forum and for the certificates awarding ceremony. After a short address to the participating young experts from the SEE and Black Sea region, Mr. Ognian Zlatev, Head of EC Representation in Bulgaria was so kind to assist Yasen Georgiev, the Executive director of EPI with the awarding of the certificates. After this emotional and inspiring wrap-up session, the participants had the chance to continue with the informal cooperation and networking during the cultural program of the seminar including an excursion to picturesque Kaliakra Cape and exploring the beauty of the Botanical Garden and the Palace in Balchik. 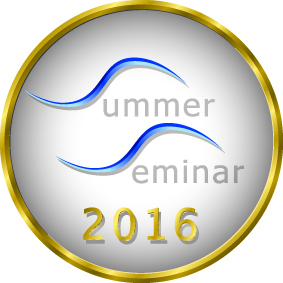 Thus, for a seventeenth consecutive time in a row the EPI team succeeded to successfully implement its Summer Seminar. The speakers and participants’ high evaluation of the seminar organization, as well as the sincere admiration of all the assets the EPI initiative is bringing proved once again that the Summer Seminar is a remarkable and fruitful regional initiative. It is not only increasing the knowledge and professional skills and competences of the future young leaders from the SEE and Black Sea region through the successful transfer of experience, know-how, best practices and ideas, but also through enhancing the regional cooperation and effective networking among them, the EPI’s initiative is striving to create better perspectives for our region. 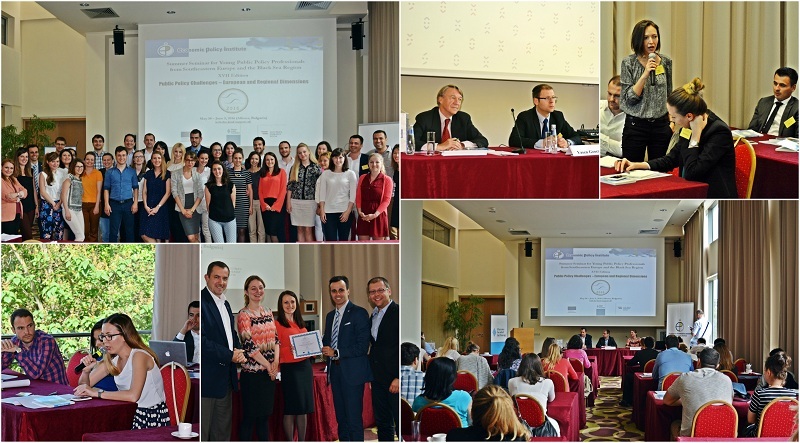 Last, but not least the EPI team would also like to express its gratitude to the participants, lecturers and supporters of the 17th Summer Seminar for Young Public Policy Professionals from South Eastern Europe and the Black Sea region and is already looking forward to the next year’s 18th edition.